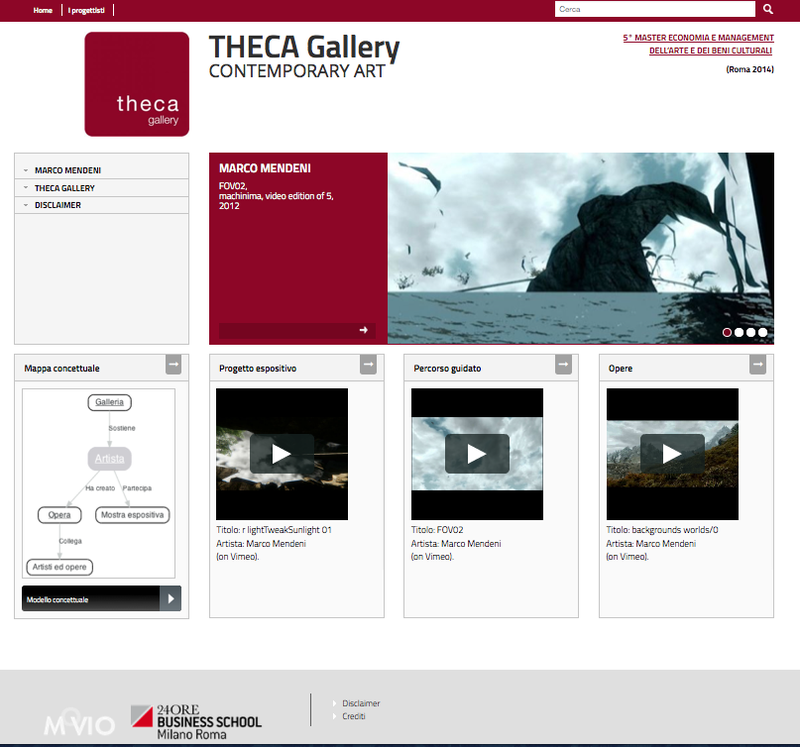 AthenaPlus project executes training sessions for curators and insititutions to use MOVIO tool-kit for their virtual and real exhibitions. All the manuals and videos about how-to use the Back-end functionalities (creating a media archive, setting up exhibition storytellig, etc.) can be browsed at our wiki. This page will include some results of our training sessions. The following MOVIO exhibition has been realized by five students of the Il Sole 24 ORE business master courses in Rome with the courtesy of Theca Gallery (private art gallery), located in Lugano (CH). Courtesy Theca Gallery, Lugano (CH).